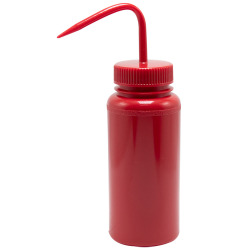 250mL Safety Red Wash Bottle 28mm Cap | U.S. 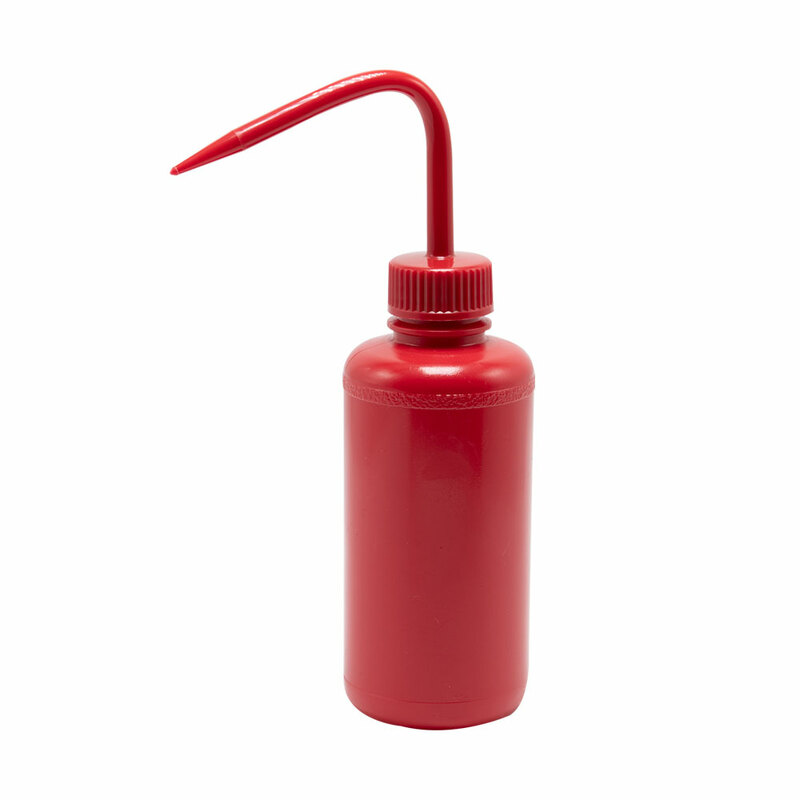 Plastic Corp.
Red for hazardous liquids. 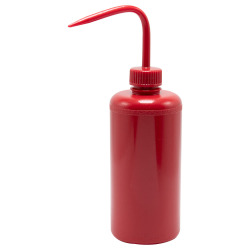 Body of bottle made of opaque red low-density polyethylene to provide quick visual recognition of inflammable or dangerous contents. Cap and nozzle constructed of polypropylene. Dispenses a drop or stream. Tube is natural colored polyethylene. Leakproof.